The Frequent Words feature is available in our Premium edition only. 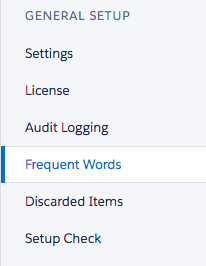 The Frequent Words feature within Duplicate Check lets the user enter frequent words that will not be taken into account when checking for duplicate records. Duplicate Check offers a standard list of common, frequent words, but lets you also create a custom list with words that you choose. 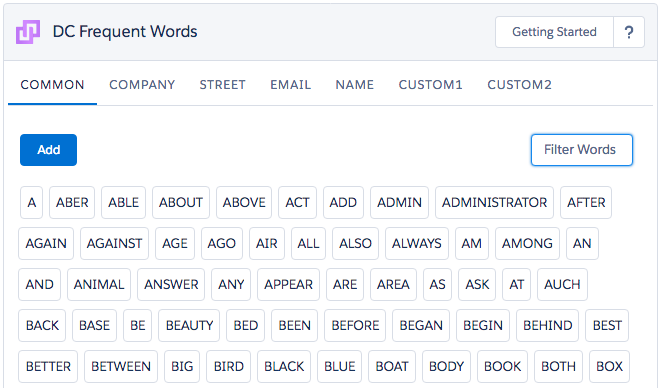 The Frequent Words feature can be found on the DC Setup page under "General Setup". Words can be added by clicking on the 'add' button to the list of your choice. You can go to a different list by choosing another tab. 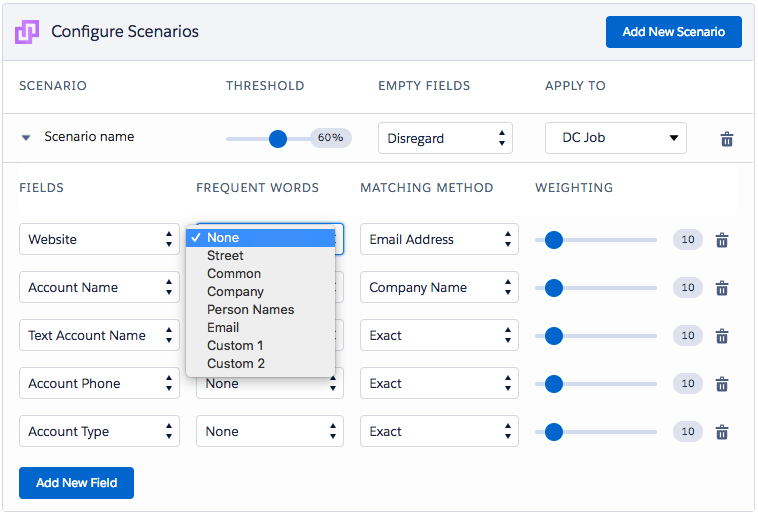 Duplicate Check has standard frequent words lists that can easily be applied to any field in your scenario. Opening the Object in DC Setup and unfolding its Scenario let you see all frequent words list options that you can apply to the field. If you are working with a lot of universities, it can be good to add the word University in your Frequent Words list. Then when comparing 'University of New York' and 'University of Washington', Duplicate Check will only compare 'New York' with 'Washington' and see that is not a duplicate value. You can see step by step how to configure and use the DC Frequent Words navigating to this article.